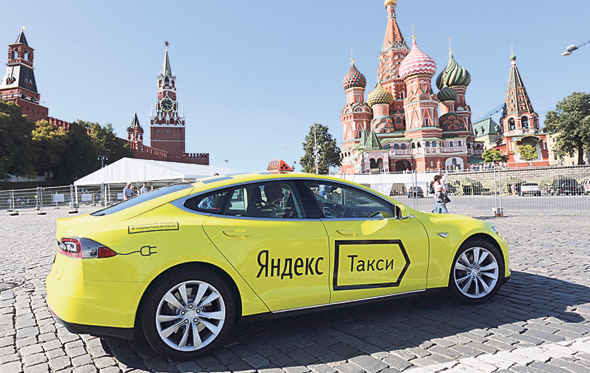 Russian multinational technology company Yandex N.V., which operates Russia's most popular internet search engine, announced Friday its intention to roll out its taxi booking service in Israel under the brand name Yango. Yandex did not say when the service is set to launch. Yango service will be offered initially in central Israel. Israel is the third country where the Yango service is set to launch, following Ivory Coast in October and Finland in early November. Several Russian publications had reported the move earlier this year, stating that Yandex has already begun signing drivers to the service in Israel. According to Aram Sargsyan, regional general manager of EMEA and the Russian commonwealth at Yandex Taxi, Yandex is treating the Israeli launch of Yango as a pilot. If successful, Yandex could decide to launch additional services here, such as delivery and shuttle services, he said in an interview with Calcalist. Yandex Taxi service launched in 2011 and is operating in over 600 cities and 14 countries. Earlier this year, the company reported it had reached 1 billion rides. Yandex, dually-listed on Nasdaq and Moscow Exchange, offers internet-related services such as search and information services, mobile apps, and e-commerce, and also transportation and navigation services. The company reported adjusted EBITDA of around $504.8 million for 2017. Israel currently has around 21,000 taxis in operation. According to estimates by the Israeli Ministry of Transportation, around 72 million special taxi rides were made in Israel in 2017, at an average price of NIS 69, meaning the local taxi market turnover was around NIS 5 billion ($1.38 billion) in 2017.